Health Message: Unusually sensitive people should consider reducing prolonged or heavy exertion outdoors. Forecast Discussion: Tough air quality forecast this week as models are in disagreement on when upper level short waves will move through the area to produce rain chances. Currently, no one day has any rain chance greater than 50%. 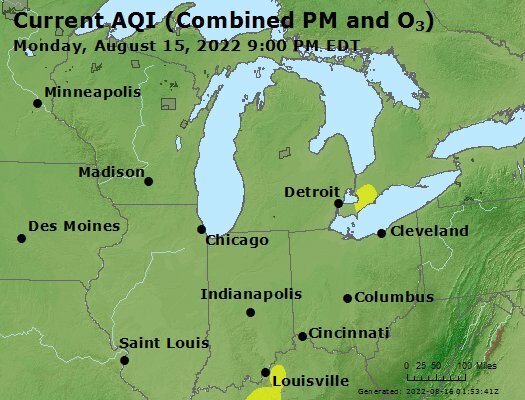 Safest bet is to forecast moderate all week for ozone. Lack of high relative humidity values call for good forecasts for PM2.5 with the exception of Thursday, when low morning wind speeds in the presence of higher humidity could increase particulate values.